Families who group chat together stay together. 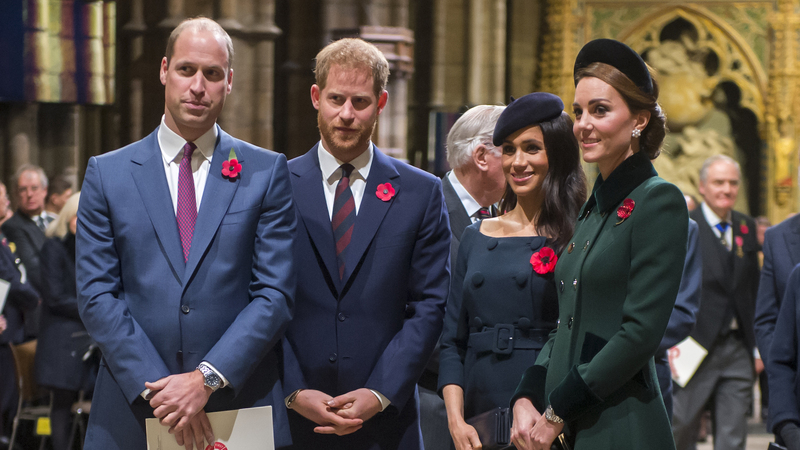 Although Prince Harry, Duke of Sussex and Meghan (née Markle), Duchess of Sussex, are moving into their own cottage at Windsor Castle in the spring, the pair still has plenty of ways to communicate with Prince William, Duke of Cambridge and wife Catherine, Duchess of Cambridge (more commonly known as Kate Middleton). One of those means is a family text message chat, once again proving the royal family is, in some ways, just like the rest of us commoners. More: Is George Clooney Ready to Godparent Prince Harry & Meghan Markle’s Baby? Rumors of a feud began circulating when Meghan and Harry got engaged over a year ago, though they intensified significantly when it was announced they would be moving out of Kensington Palace, where they currently hold court alongside Kate and William. The Sun fanned the flames when it published an article on Dec. 1 claiming the duchesses had a falling out over Meghan’s alleged treatment of palace staff. Kensington Palace released a rare public statement on the article, essentially telling the press and public to stop trying to dig up nonexistent drama. Though we can’t be sure what kind of content occupies the royal group chat, we feel reassured that Meghan and Kate aren’t using the mute feature to ignore each other’s texts.